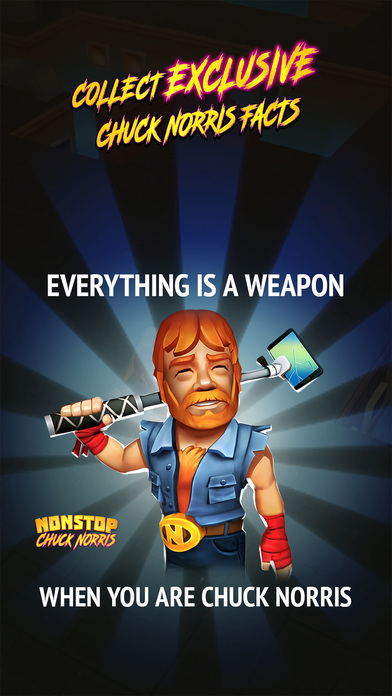 Chuck Norris has his own mobile game – fact! 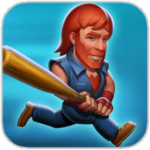 Harness the unstoppable force that is Chuck Norris in an action game packed with insane weapons, items and Chuck facts! 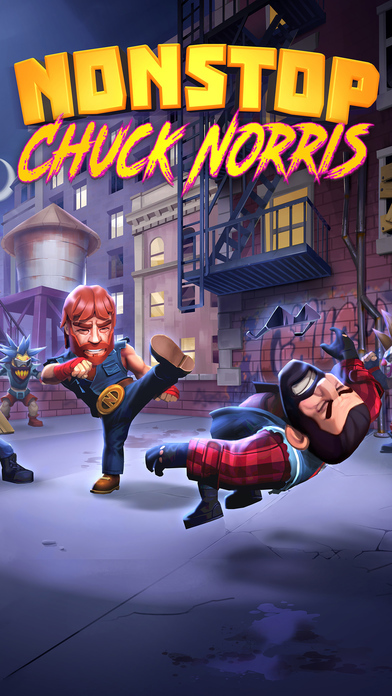 Power up Chuck Norris as he delivers a beating to an infinite horde of villains. 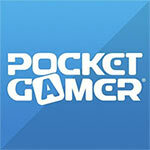 The mission: to save multiple universes! 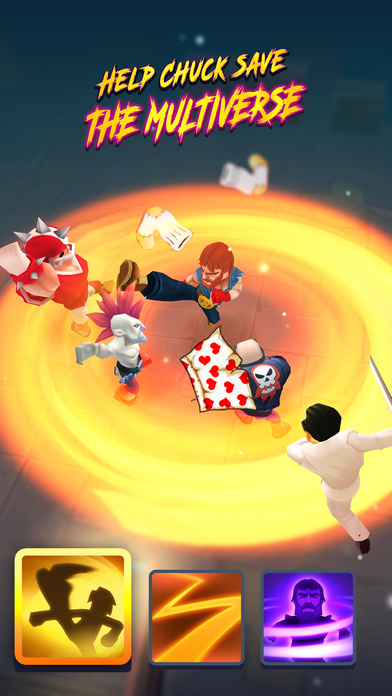 But no stress, Chuck will continue to fight and earn rewards while you take a break! You’ll have to make a choice, and whichever one you pick, it’s likely that the shunned party will never, ever stop trying to find out why you decided against him. Sorry about that. 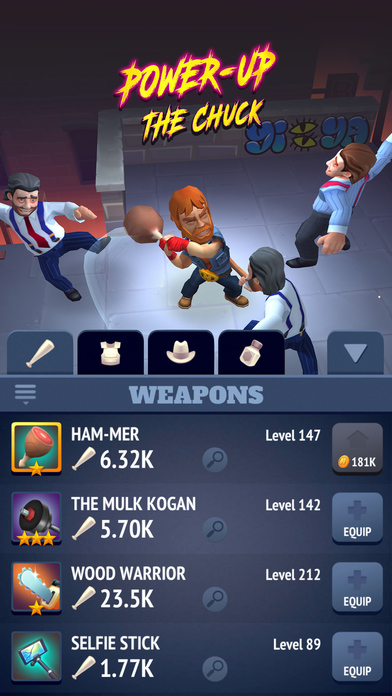 Nonstop Chuck Norris is just a reskin of Nonstop Knight, so you're either going to love it or hate it. 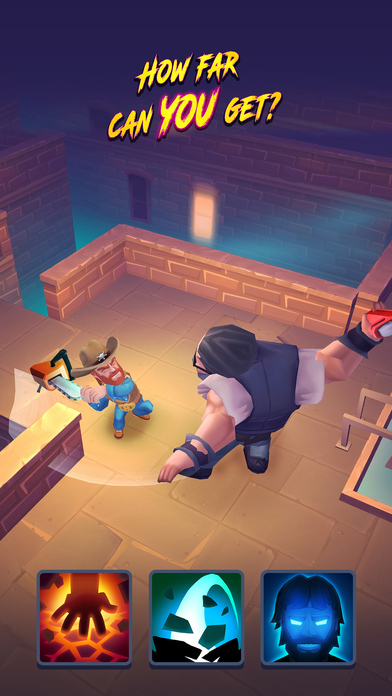 L'idea di associare Chuck Norris alla meccanica di Nonstop Knight è azzeccata, ma coloro che hanno giocato al titolo precedente troveranno ben poco senso in questo mero reskin a tema norrisiano. I meme e le battute sul celebre combattente sono sempre piacevoli, ma da soli non bastano a tenere in piedi un titolo che è di fatto interamente già visto e giocato, anche se trattandosi di un free-to-play farci qualche partita non costa letteralmente nulla.